With North Korean and US delegates scheduled to meet Thursday to negotiate the return of US war remains from the Korean War, the focus is now on whether the two sides can make progress on the issue. During their first summit last month in Singapore, North Korean leader Kim Jong-un and US President Donald Trump committed to recovering US war remains, including the “immediate repatriation of those already identified.” North Korea holds about 200 sets of remains from among the some 5,300 US military personnel believed still lost in the country, according to Department of Defense estimates. The delay in the repatriation of war remains has raised questions over what is preventing the two sides from reaching a deal that their leaders had committed to, with concern mounting over Pyongyang’s mixed record on cooperation during previous negotiations. “North Korea wanted to be paid for the return of 200 sets of war remains. That is certainly what they had wanted in the past. … North Korea is coming back with the exact same playbook they had used.” Victor Cha, a North Korea expert at Georgetown University, said in an interview with NBC News. According to the Washington Post, Chuck Prichard, a spokesman for the Defense POW/MIA Accounting Agency, said that the US has sent North Korea $22 million since 1990 as it recovered an estimated 629 sets of remains. Former New Mexico Gov. Bill Richardson, who brought seven sets of US war remains from North Korea in 2007, told Voice of America that the US had paid $70,000 per set of US remains to North Korea. The Pentagon reiterated it reimburses North Korea for the cost of recovery but does not pay for the remains. “I can tell you that, as a matter of policy, the US government does not pay any government or individual for the remains of missing Americans, but we are authorized to reimburse for the costs incurred with recovering and repatriating US remains,” an anonymous official from Defense POW/MIA Accounting Agency told Voice of America. 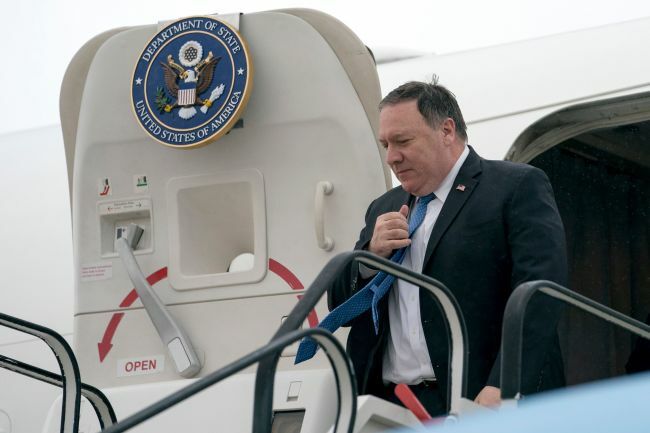 The official declined to comment on whether the US would deliver payment to North Korea this time, saying it is “inappropriate” to discuss the issue as it is uncertain when and whether North Korea will return the war remains, VOA reported. The US military has not recovered remains directly from North Korean officials since 2005, when the former George W. Bush administration stopped the program as tension rose between Washington and Pyongyang over North Korea’s nuclear program.